It’s that time of the year again when students go back to school. Middle schools, high schools, and colleges will soon be packed with eager young people who are there to pursue knowledge. You know what needs to happen before school starts? That’s right… SHOPPPINGG TIME! You need the right tool for the right job. And for those of us who prefer simpleness, school essentials with simple design is the way to go. Are you starting your college freshman year? This helpful college packing checklist will make sure you don’t forget anything important. Minimalist school supplies are quiet. They never shout. They never try to steal attention. These stationery works in the background to help you stay productive and organized. For more stuff like this, follow our School Cool board on Pinterest. A large-capacity canvas pencil case. Its design is plain but aesthetically pleasing. Approximately 7 inches long and 3 inches wide. It can fit everything from a calculator to stapler to dozens of pens and pencils. Available in pink, purple, and blue. It is durable and washable. 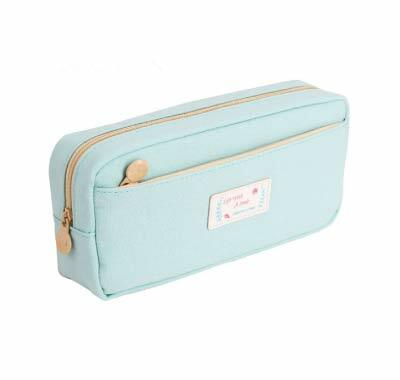 This lovely pencil pouch is also featured in our cute back to school supplies for teen girls article. Samaz Storage Bag for Stationery and Cosmetic. Stylish school backpack. Black and white in color. Designed for simplicity and efficiency. 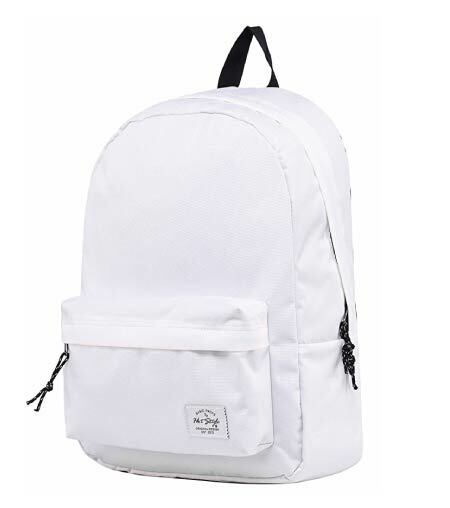 The school bag has one front pocket and a big main compartment that has an inner side pocket for the water bottle. Note that there are no external side pockets. 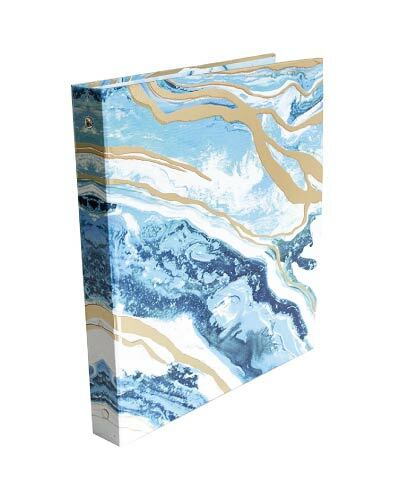 Standard three-ring binder with cool geode pattern exterior. 60 pieces of humble HB pencils. Made of basswood. These pencils are tough and are crack-resistant. 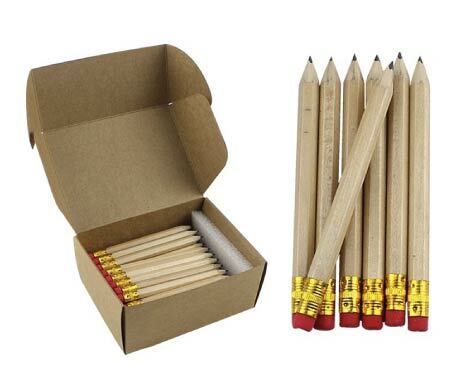 Buy once for a long-term supply of HB pencils. 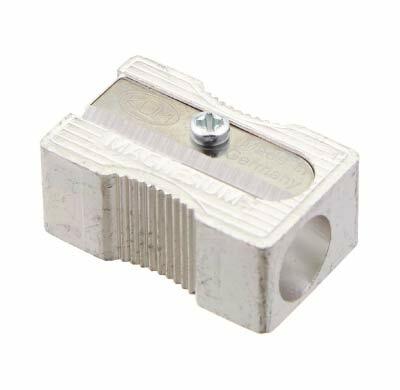 Free sharpeners and pencil grips when you buy this product. By the way, you should check out these cool inspirational quote pencils. Retractable ballpoint pens with rose gold accents. A minimalist eye candy. 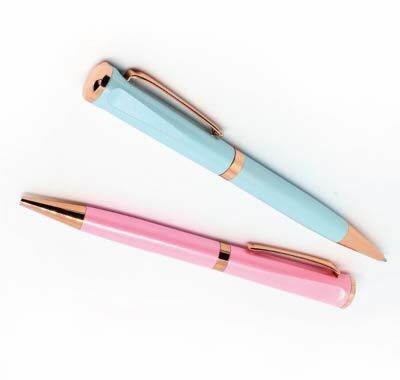 The set comes with two pens — baby blue and pink. The pens’ enamel body is well-balanced and offers a comfortable grip to their user. Keep them for your own enjoyment or give them as a gift to your friends and family members. Erasers and pencils are like bacon and eggs or peanut and butter, they are two halves that complete each other. When you use a pencil for drawing or writing, you’re prone to making mistakes. And when a mistake happens, you will need a good eraser that undoes the previous action. 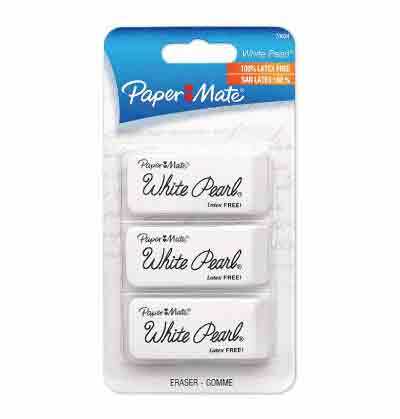 These Papermate erasers are cost-effective and do an excellent job cleaning up after you. 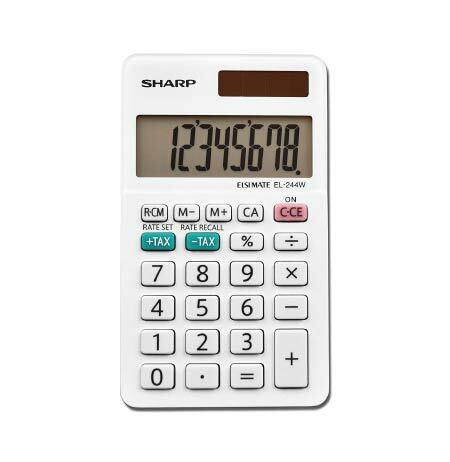 Sleek, modern, no-nonsense calculator from Sharp. Use it for general calculation and tax. The pocket-sized counting machine is powered by solar and battery. Extra large display. Low-profile keypads and a slim body. It will fit into any pockets or pencil pouches without a problem. Chic travel-friendly BPA-free tumbler for warm and cold beverages. People who are on-the-go will love this. Detachable lid and straw. The lid helps prevent spill and wastage of your favorite drink. 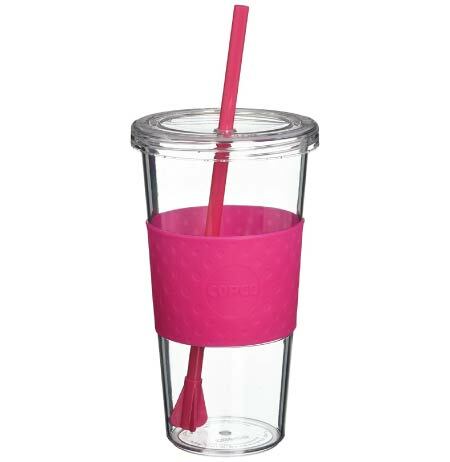 The straw’s wider fin-like bottom is utilized to stir your drinks. Single wall, which means less insulation. Easy to clean. Pencils require maintenance to remain sharp. There are many ways to sharpen a pencil. You can do so with a knife, an automatic electric sharpener, or this cheap rustic metal alloy sharpener. Its sturdy casing is made of magnesium alloy, its sharp and long-lasting blade from DTA tempered steel. 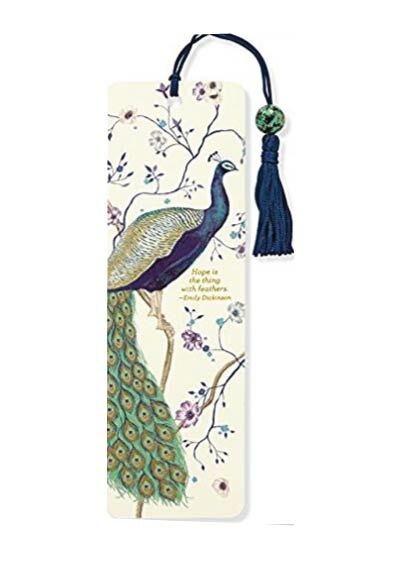 Artistic bookmark with beaded design. It details a confident peacock who is standing on a tree branch showing his flamboyant tail. The curious picture is complete with the aid of the surrounding Spring flowers. Standard-sized staplers can occupy too much of space. Chances are you don’t need that much of stapling done in a day anyway (you can always refill). For classroom use, a travel-friendly lightweight stapler is sufficient. 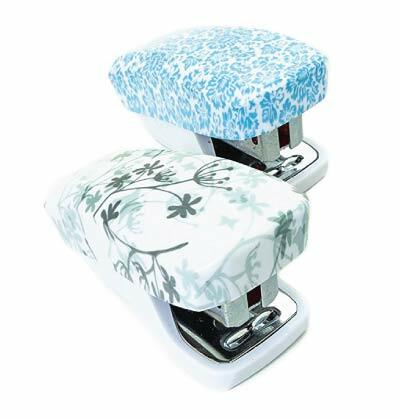 Don’t be deceived by their size, these floral staplers can penetrate 18 sheets of paper. The staple remover is built-in. The flower prints are of dandelion and bluebell. 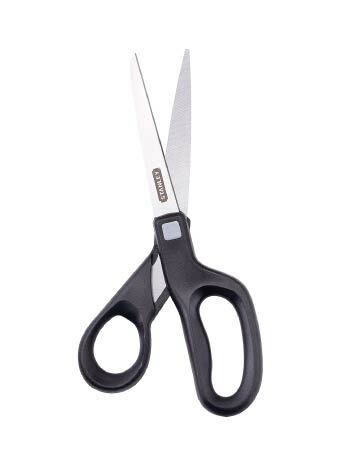 A trusted pair of scissors that cut and trim without fail. Ergonomic grip. Its sturdy and sharp blades can last decades. A must-have for art class and other school projects. On the outside, it looks like a regular notepad from Walmart or Target. Binding rings and three pre-punctured holes on one side. Its generic-looking cover is in conservative black. However, the popular idiom is right, never judge a book by its cover. Normal notepads are flat and restrictive. 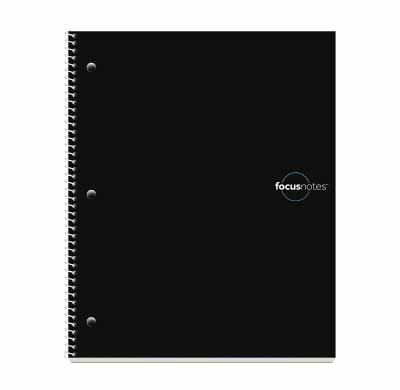 Focus Notes is notebooks evolved. Based on the Cornell note-taking system, it adds dimensions to the notepad. In the cue column, you can add questions you may have, related homework, or further readings; in the summary row, your own conclusion. 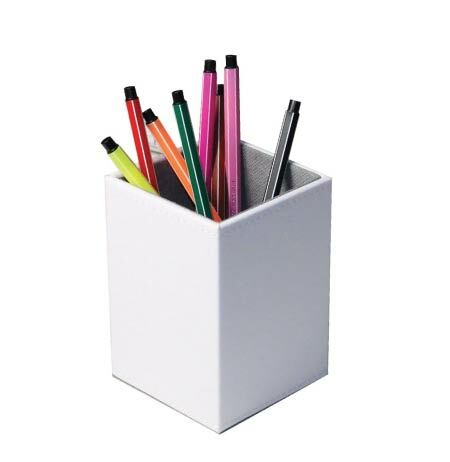 An elegant pencil holder with no visual noise. It blends in quietly with the rest of your study room as it performs its duty at organizing your stationery in the background. It is made of leather. Stay on top of your commitments such as assignments, choir practice, and part-time work schedule with the help of this creative planner. It’s non-dated, start using it anytime, it never gets outdated. Set goals and objectives, plan monthly, weekly, and daily tasks. 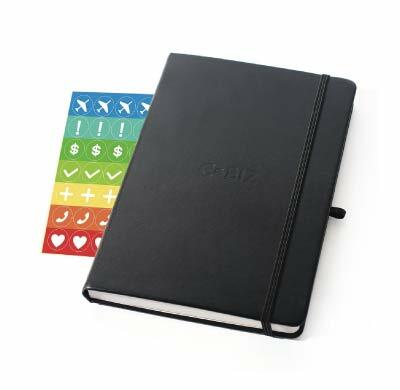 Prioritize critical to-dos with the help of colorful stickers which come together with the planner. Hardcover but light in weight. 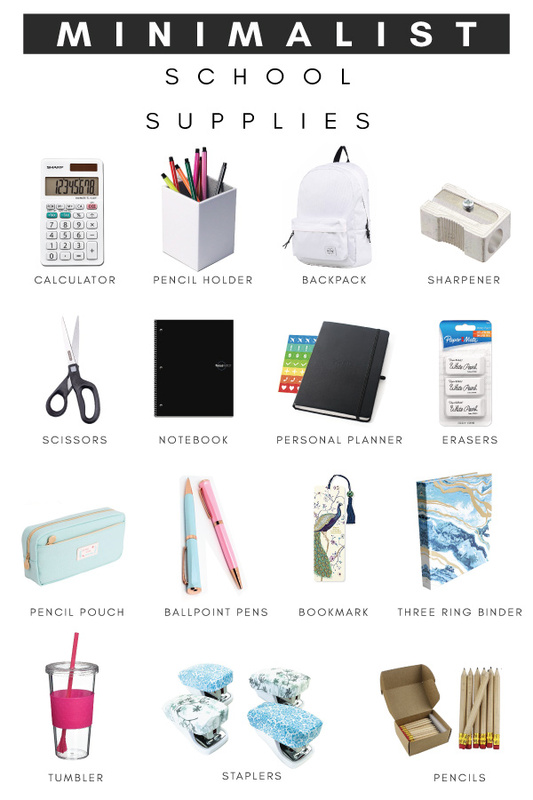 School supplies can be minimalist in two aspects, design and quantity. For this article, we have taken the approach of curating stationery that has pleasing aesthetics because of its simplicity in shapes, size, or pattern. But you can always go the other way and pack only something you can write with and on when you go back to school. You may also be interested in these fun emoji school supplies or these cute back to school essentials for teen girls.